Showing results for tags 'ricordea'. I set up Old Man Sea's Marineland Profile 5.6 Gallon Reef in January 2017 and Old Man Sea's Shallow Reef Creative Contest Pico Tank in October 2017. I greatly enjoyed both tanks but my day job became hectic and I needed to consolidate. 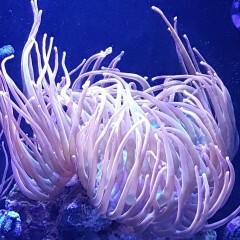 This issue was compounded by the success of the corals in the 5.6 gallon tank – it is tall and narrow which made space for growth scarce as the frags grew. In fact, members of both the ricordea garden on the left side and the acan garden on the right side began to be crushed against the glass. There was no place to go! Thus, close to three months ago, on September 10th, I replaced the 5.6 gallon tank with an IM10, which has a much larger footprint. I simply drained the 5.6 gallon tank, placed the IM10 where the 5.6 had been, pulled the rock and coral from the 5.6 gallon tank and moved them en mass to the IM10, added fresh Instant Ocean salt water, then pulled the ricordea, zoas and green-banded gobies from the pico reef and moved them into the IM10. Presto Chango, a new reef was born. Tank Specs Display: Innovative Marine 10 Gallon NUVO Fusion Nano all-in-one aquarium, 12” x 15” x 13” Lighting: Aqua Illumination Prime HD Heater: Aqueon 50 watt on homemade controller (until system is added to Apex) Chiller: None Circulation: Sicce Synchra 0.5 return pump Skimmer: None Filtration: Stock Fusion filter sock Filter Media: None beyond filter sock Top Off: Tunze Nano Osmolator 3152 Dosing: None at present, considering addition of dosing of two-part since now beginning to dip prior to weekly water change Controller: Recently obtained an additional Neptune Systems Apex 2016 Energy Bar 832 and PM-1 module for use on this tank for control of temperature and monitoring pH to control impending dosing pumps Wet date: September 10, 2018 I moved the rock flower anemones from the pico into the Red Sea Max 170 (which already contained a number of rock flowers) and gave the mangroves to a fellow reefer. For the past couple of months I have been moving things around a bit and I have removed some corals and added several new corals. For example, the large, green monti cap, which was a tiny frag when I got it 21 months ago, was moved to the RSM170 since it had grown to nearly completely blocked all the light below it. I had removed the red monti cap a few months earlier. However, the mainstays of the 5.6 gallon tank – the ricordea garden and acan garden have been kept intact. Since this tank has a more open footprint than the Marineland, I plan to slowly replace much of the live rock with more appropriate pieces. In this full tank shots it is easy to see that there is much more room compared to the Marineland. In the top down shot the two zoa colonies just below the Montipora (green on left and red on right) are the first two corals that were placed into the tank in January 2017. Several of the others followed soon after. The Seriatopora and Stylophora on the frag shelves are new additions from a friend's reef. Both were fragged from massive colonies - she made 50 Seriatopora and 100 Stylophora frags from her colonies in her 180 gallon tank. As I replace the rockwork, these pieces will go to the rock. The blue Cyphastrea on the right side of the back wall has been with me since early 2017. It had grown to cover about half of the back wall of the Marineland. I was able to pry off just over half of it and made 12 frags, keeping this one. It is rapidly encrusting the wall as can be seen. Soon after combining the tanks, I experienced a plague of aiptasia. I noticed two of them, added Aiptasia X, then had a dozen, and soon had literally 100s of them, covering all the rocks and even a few on the glass walls. I added some Berghia to eat them but the resident clownfish and perhaps the Geometric Pygmy Perchlet (Pete Plectranthias), ate the Berghia. As a last resort, I purchased a single peppermint shrimp from the LFS – a specific specimen which I was told is a voracious eater of aiptasia – they kept it in a frag tank for this purpose. I was told it would likely eat all of mine in a day or so. I laughed since everything was covered with them. However, the next morning at least half of the aiptasia were no longer visible and a day later there were none visible. I have not removed the shrimp and have not seen another aiptasia for the past six weeks. The shrimp thus far has not bothered any of the corals, not even the zoas, but it does make the green banded gobies very nervous! I feed the shrimp and fish very well in hopes of keeping shrimp predation on fish and corals low. I will remove the shrimp at some point but I hate to get rid of it since it is so effective on aiptasia. I would move it to the RSM170 but the flame hawkfish in that tank are very happy to immediately eat any shrimp or snails as soon as they are added. At about the same time that I noticed the aiptasia, several patches of bryopsis became apparent, all on bits of rock that had been transferred from the pico. I added fluconazole and the bryopsis melted away in a couple of days. I change close to 100% of the tank water every week and did not add additional fluconazole. Thus, I have experienced rebound outbreak of bryopsis several times. I am trying to remember to add fluconazole each week after the water change to attempt to kill all the bryopsis. Livestock Fish 1 ocellaris clown Apr 2017 1 Geometric Pygmy Perchlet Sep 2017 I had a Gobiodon histrio (Goby Dillis) but it disappeared a few months ago. It was an adult when I got it so it may have died of old age. Invertebrates 4 Astrea snails Early 2017 Stomatella snails – original hitchhikers and vary between none to many tiny, to several adults then back to none and the cycle repeats. I get a bit of brownish algae on the glass from time to time - diatoms? -and the Stomatella’s love it. When they are around I never have to scrape it. Bristle worms – dozens; they come out of the rock and cover everything whenever I add Reefroids 1 Peppermint shrimp (for now) Corals 9 acan lords – Micromussa lordhowensis Feb 28, 2017 – Oct 4, 2018 1 unknown Micromussa “ASD Brain Freeze Micromussa” Oct 4, 2018 ~12 Caribbean ricordeas Feb 28, 2017 – Oct 2017 4 encrusting Cyphastrea Apr 2017 – Jun 2018 1 Cyphastrea decadia Nov 2017 1 Tangerine leptoseris May 2018 1 Sunset Montipora Jun 2017 1 unknown ‘favia” Oct 4, 2018 1 Seriatopora Nov 2018 1 Stylophora Nov 2018 1 Torch “ASD Notorious Black Torch” Oct 4, 2018 4 assorted zoa colonies Jan 21, 2017 – Oct 2017 Target Water Parameters Calcium 420-450 ppm – sometimes dips to 380-400 by water change day – will start dosing 2- part with Apex Magnesium 1600-1620 it is at this value in the make up water (Instant Ocean and always stays a similar level in each of my tanks; I have made primary standards at 1000, 1250, and 1500 ppm and the Red Sea kits that I use read them perfectly pH 8.0 during the night and 8.2 during the day Alkalinity 9.8 immediately after water change, dropping to 8.4-8.6 by water change day – I will start dosing 2-part with Apex Nitrate Near zero after water change; usually around 0.3-0.5 ppm by water change day Phosphate “Zero” after water change; usually around 0.02-0.04 by water change day Temperature 77° F These zoa's were added from the Pico contest bowl. The green is radioactive dragon eyes plus some polyps of a friend. The red with blue centers were collected some years ago in Florida by a person who works at the LFS. They grow prolifically - there are two of these colonies in the tank. I gave away another colony. This picture just reminds me to mention the ricordeas. Most of the ricordeas were added in early to mid-2017 but a couple were transferred from the pico contest bowl. Among those are the one on the sand (it refuses to play with the others and removes itself every time I attach it, and the very light green one on the front of the rock in the FTS. The ricordeas are much happier with some stretch out room. I like Cyphastrea's. The blue one grows wildly and will likely encrust much of the back wall in a few months. The green one was obtained during summer 2018 and sat on the bottom for several months. In the sale image it was solid green and on the bottom of the tank it was solid green. When I moved it up the wall a month or so ago, the polyps remained the same even shade of green but the encrusting body turned brown from light shock. It has now become a blushing color, beginning about a week ago, and I hope it ends up green again. The rust colored colony on the bottom has been there for around a year. It has always been very healthy. Once I add more rock it will go there. Finally, the branching Cyphastrea decadia has been on the bottom for right at a year. It has grown a little. It never opens during daylight but is always open at night. I have been trying of late to remember to target feed it once a week at night. That has caused the coloration to become much more intense, hopefully, it will also induce growth. This specimen will also go onto the rock. There is another encrusting Cyphastrea on the sand that I forgot to photograph. Next time. Acans are my other favorites. There are 9 colonies in the tank. The red with blue rim colony was purchased with 3 heads in February 2017. It now has 26. The heads have always been small on this specimen. The others have come at various later times. Here are pix of several of them. All were purchased with2 or 3 heads. I made a recent order from ASD since I wanted one of there dark colored torches (at the top of the rock in the FTS). Even more, I wanted one of the non-lordhowensis Micromussa species. This is a very interesting coral. If it does well and if the vendors still have them in a few months, I would At 20000K it is bright yellow, at 14000k (these images) it has a lot of green in it. Finally for today, ASD sent a freebie as they always do. I believe it is a Favia? 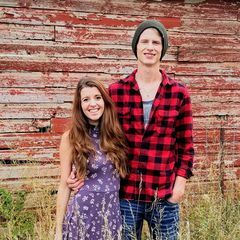 If anyone knows for sure, I would appreciate knowing. Normally I would wait until a product arrived to provide a review, but my experience with Cultivated reef has been so good thus far that I felt compelled to post about it. These folks really know how to treat a customer. I set delivery for next week, but got a call and they let me know they could get the items to me on Friday if that would be better. It was, so they are! Then we got to talking about my needs for the tank which resulted in an additional order of what looks to be a really nice Nepthea (Holly texted me a picture of the frag). Anyway, Holly and her team have gone above and beyond so far. I'll post pictures of the corals once they arrive for verification that everything was as expected... which I'm sure it will be. 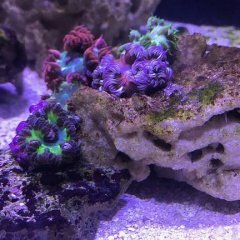 P.
Several months ago I bought three ricordea florida polyps from Pacific East Aquaculture that shared a single frag plug. The plug was rather crowded when I go it, but now the mushrooms are much larger, and one of them has split in two, and they are squished up against each other. I'd thought, originally, that they would move themselves off the plug before things got so crowded, but they haven't moved at all. I don't know whether they are glued down to it or not, which may prevent them from moving away from each other, either. Anyways, what do I do? I'd really like to move them off the frag plug and spread them out a bit, but I'm not sure how to go about that, especially if they are glued down. Or is it best to just leave them to their own devices, no matter how squished up against each other they are?